Capacity: 59 guns, 63 cubic ft. 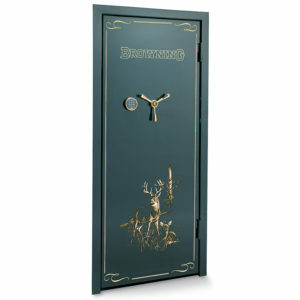 Choose your safe and trim colors below to add your Browning Pro Series Pinnacle 63 to your shopping cart. 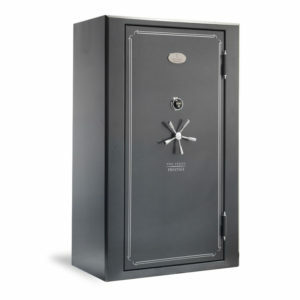 The PIN63 is the largest of the Pinnacle line of Pro Series safes. 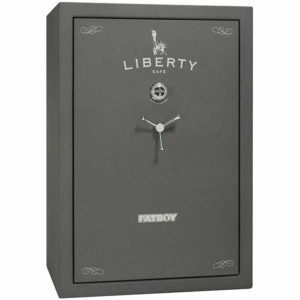 It is classified as a Tall Extra Wide safe, with a humongous capacity that can safely store 59 long guns in its interior shelving and door rack. With the adjustable Axis shelving, there are plenty of options to optimize this space in order to store all your firearms, document, jewelry and other valuables, to keep them safe from fire, theft, and whatever unknown threats might come your way.